With all the hype of the new wing coaster (Gatekeeper) at Cedar Point, people are constantly asking for photos of the construction site. 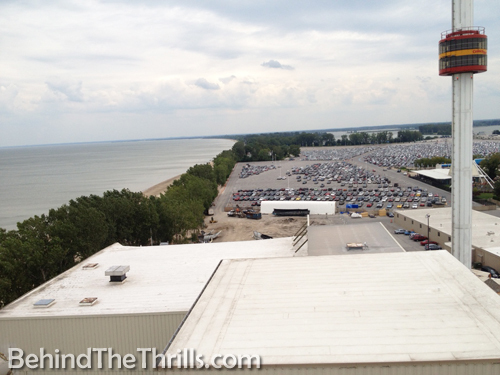 Yesterday, August 16 at the point, we got some shots of Disaster Transport and Space Spiral’s status. The demolition is on schedule so far. From the inside of the park it appears that most of Disaster Transport is still in-tact; however, after taking a closer look you will realize that only part of the building remains. 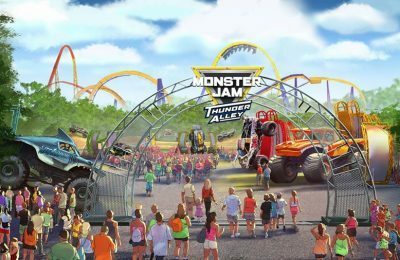 “some of the “rare” parts of Disaster Transport are being shipped to Kings Dominion as replacement / backup parts for their bobsled coaster, Avalanche”. 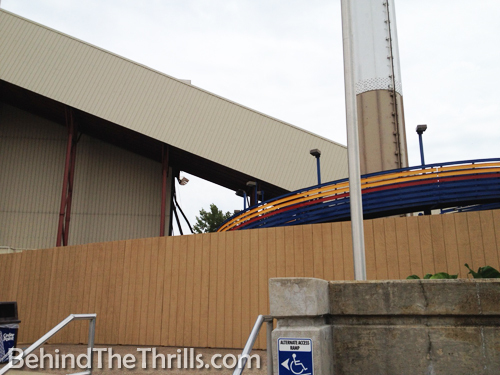 With the removal of Disaster Transport, Avalanche is now the only remaining bobsled coaster at Cedar Fair parks. Demolition of Disaster Transport and Space Spiral should conclude within the next few weeks and then construction of Gatekeeper will begin immediately. All of the track and inside supports have been removed. The shell of the building will be torn down over the next week. 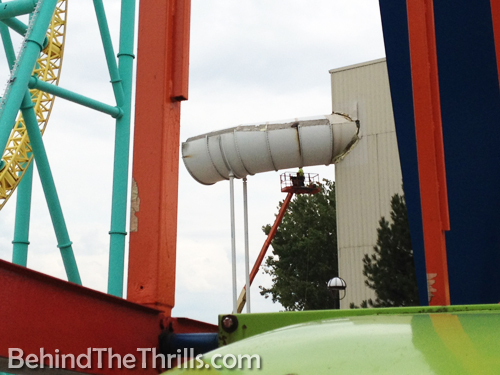 The entire back section of the ride has already been dismantled and sent to the scrap yard. Space Spiral closed on August 14th. The above photo shows the temporary “construction” fence that blocks off both Disaster Transport and Space Spiral from the public. This fence was put up August 14. Disaster Transport’s demolition is expected to be completed in the next couple of weeks. Space Spiral will be torn down for scrap. 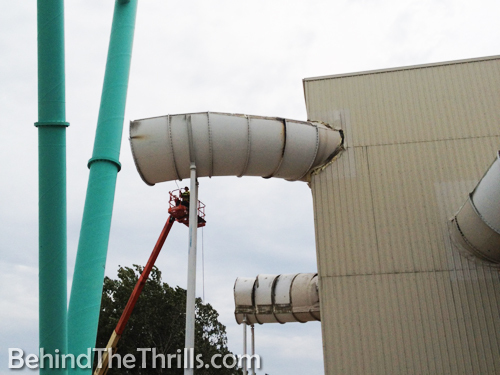 Space Spiral’s demolition is expected to be completed by the end of September. 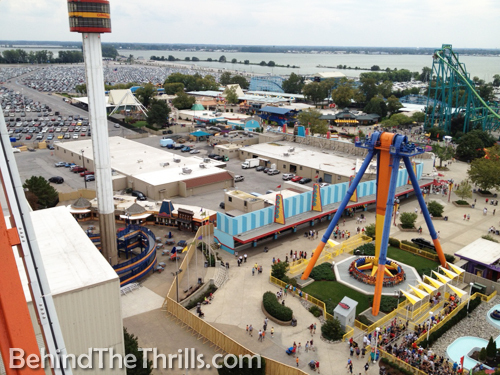 Support columns for GateKeeper start going up Oct. 1. 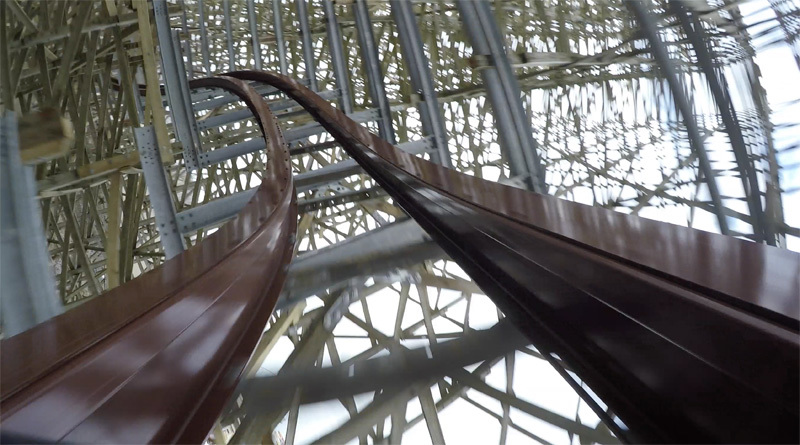 Steel track should be arriving at the park by mid-October. Erection of the steel track will take place from mid-November to February. GateKeeper will be commissioned in March or April. 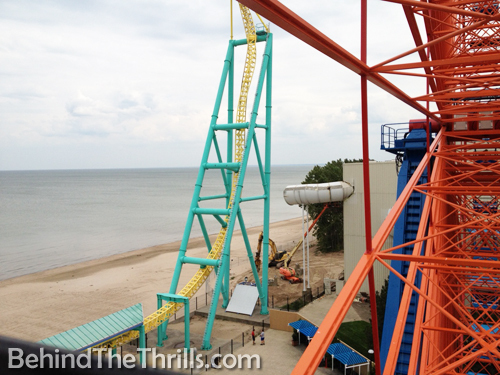 GateKeeper is expected to open Mid-May. 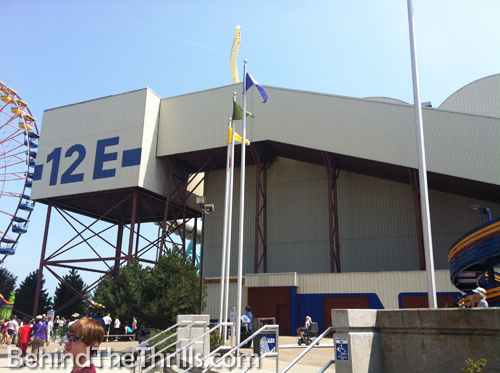 Disaster Transport was built by intamin in 1985 with no building around it. 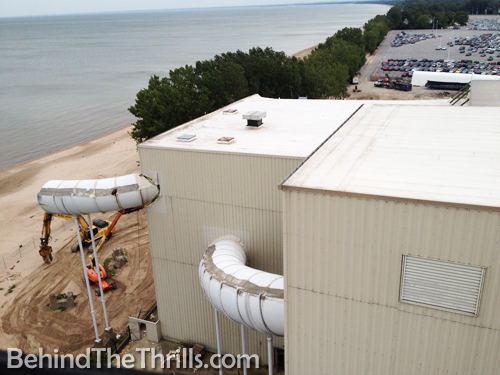 In 1990, a 4 million dollar renovation took place by ITEC Productions, completely enclosing it to protect the ride from the beach sand blowing onto the track. (photo below) On the outside of the Disaster Transport building, “12 E” is written, which has caused numerous rumors as to its meanings. On August 3, 2005, it was revealed that it stood for the 12th ride designed by the ITEC employee, Eric. 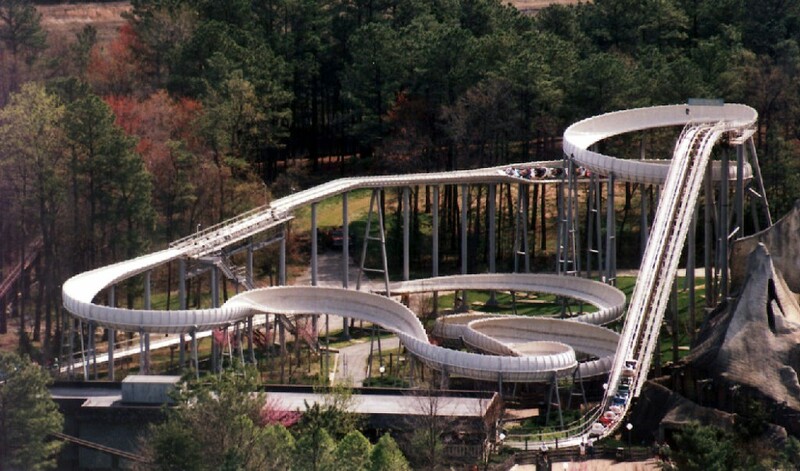 (photo below) Avalanche at Kings Dominion, is the only Cedar Fair bobsled coaster currently in operation. Below is the original teaser commercial for Disaster Transport after renovation in 1990.